As she preps her forthcoming album, which is tentatively schedule to be released in September, French DJ/producer Missill is set to release a warm up EP entitled Champions next week. The EP will feature several versions of the titular song. "Champions", which is the lead single off her forthcoming album and will also be featured on the EP, is a high-powered 'Brooklyn-meets-France' collaboration. With a known passion for all things hip-hop, Missill's collaboration with hip-hop veterans M.O.P. and UK emcee Dynamite MC shouldn't come as a surprise. 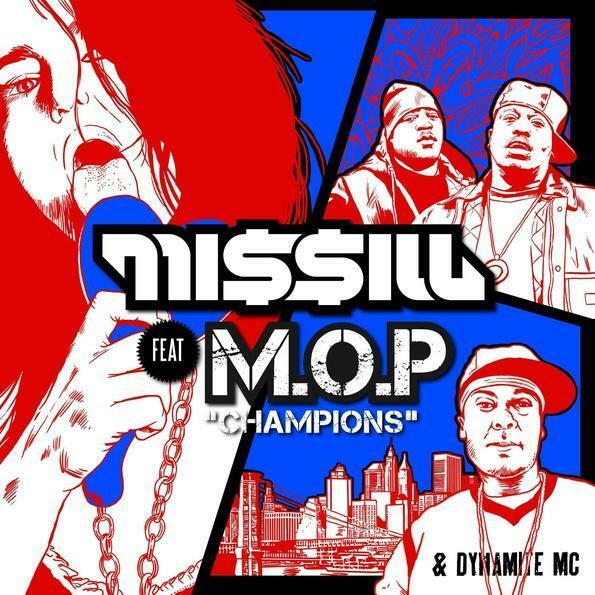 Stream the hip-hop version of "Champions" and look out for Missill upcoming Champions EP, which will be available on the June 11 via Play Me Records. Also, feel free to partake in an exclusive free download of the Missill's "Champions" (Fat N Ugly remix) and check out her latest mashup which is currently available for free download HERE.